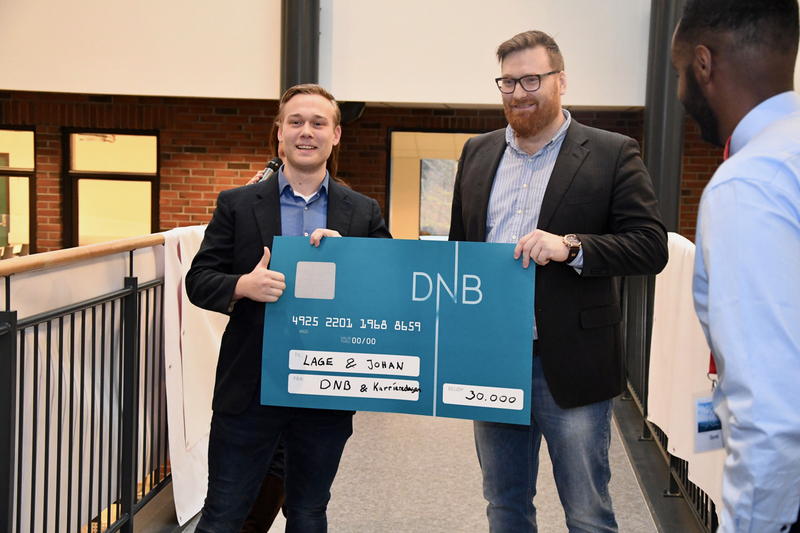 Lage Gundersen (left) and Johan Wedel won the «Innovation Award» at the traditional Career Day at the University of Agder in Grimstad Wednesday. “We were very impressed by both their idea and their enthusiasm. The world really needs their product. 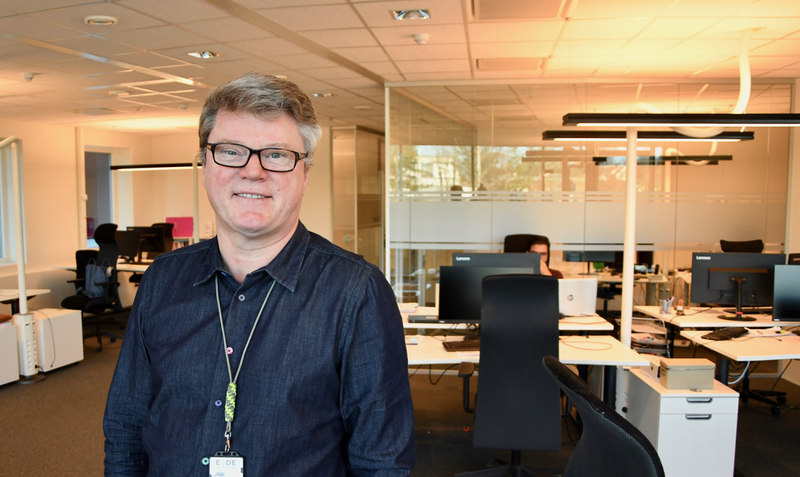 It is scalable and has a huge potential,” says Anne-Grete Ellingsen, CEO of GCE NODE and member of the Innovation Award jury. What the winning idea is, has yet to be made public. Based on a written description of business ideas, a total of five student groups were pre-selected to pitch their ideas before the jury. Each group was given five minutes for a presentation and five minutes for answering questions from the jury. Some very clearly nervous. 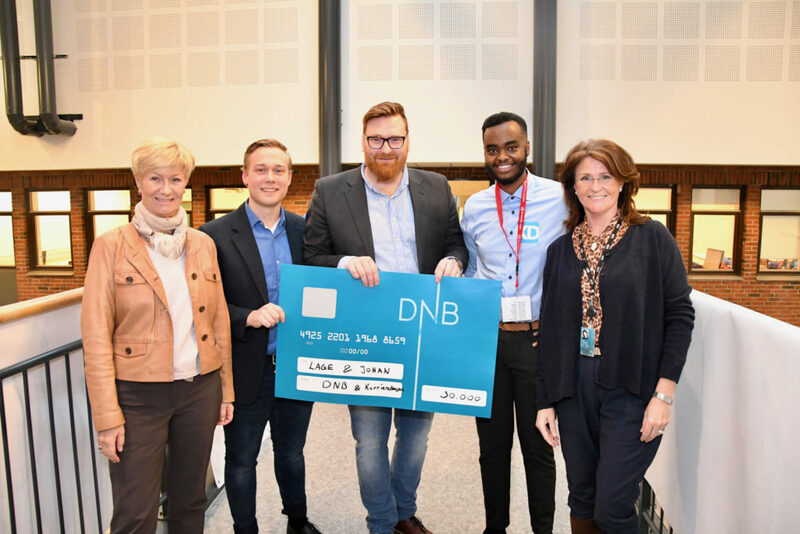 While used to giving presentations before their peers, very few had given presentations before a jury that would go on to present a check of 30,000 NOK to the best group. 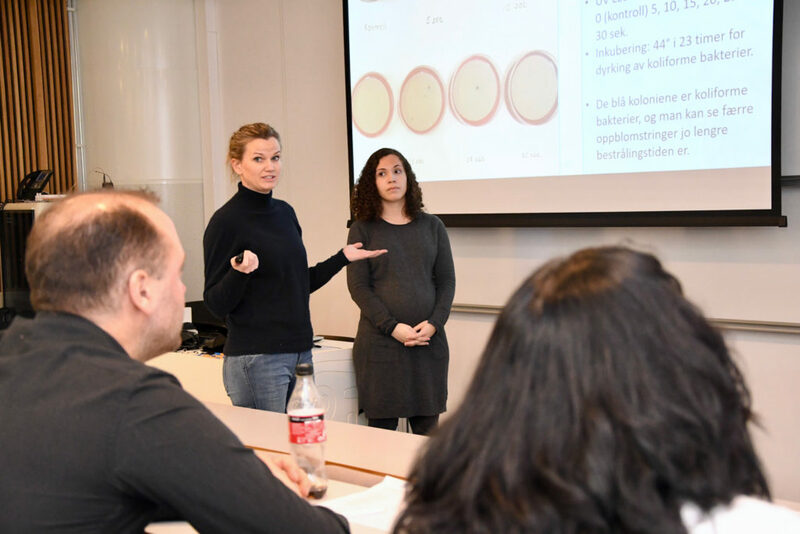 Marie Fiane-Mo (left) and Ellen Christina Bjørkmo presented their idea «Safewater» to the jury. “It was very different from other presentations, but we have had a lot of fun preparing for it,” says Margrethe Clüver. She was part of the only all-female group invited to pitch an idea for the jury. The project, Safewater, aims to develop and manufacture a two-step procedure for purifying water. Built in to a product, perhaps in the shape of a straw, the idea is that the procedure will transform dirty water to drinking water within seconds. “With the help of a simple and affordable product, our goal is to utilize new technology to find ways to provide pure water to the world,” says Marie Fiane-Mo. 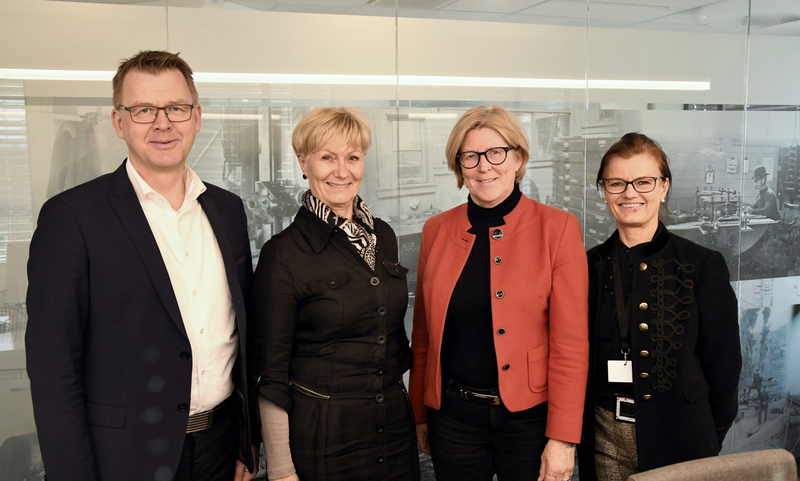 The Innovation Award jury included Tone Nævestad (DNB, chair), Anne-Grete Ellingsen (GCE NODE), Sharron Moti (Lyse), Tor Helge Aas (The School of Business and Law at the University of Agder) and Rune Melberg (Sparebank 1 SR-Bank). 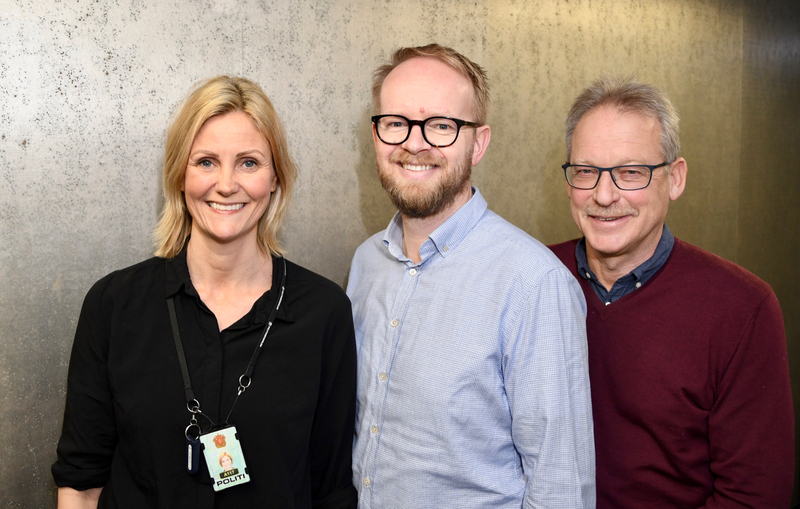 Left-right: Anne-Grete Ellingsen (GCE NODE), Lage Gundersen, Johan Wedel, Mohamed Araye (Career Day organizer) and Tone Nævestad (DNB, chair). 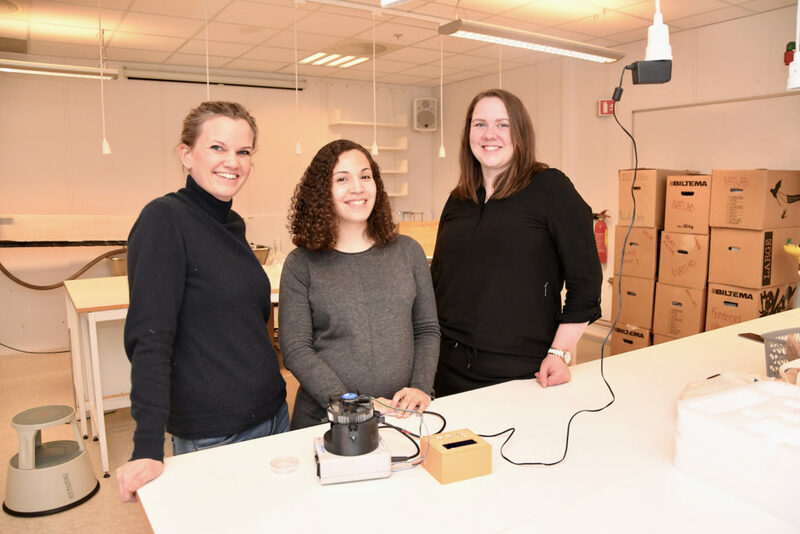 Left-right: Marie Fiane-Mo, Ellen Christina Bjørkmo and Margrethe Clüver presented their idea «Safewater» to the jury.